Boosts do not require long hours of strategizing. It is a learn and refine as you go engagement which is beneficial for small-business owners who have little extra time on their hands. What matters is that you target the right audience with the right content. If you run a restaurant, you want to target not just hungry people, but the people who influence them like food critics, newspapers, other restaurants. When you click on “Boost Post”, it is very simple. 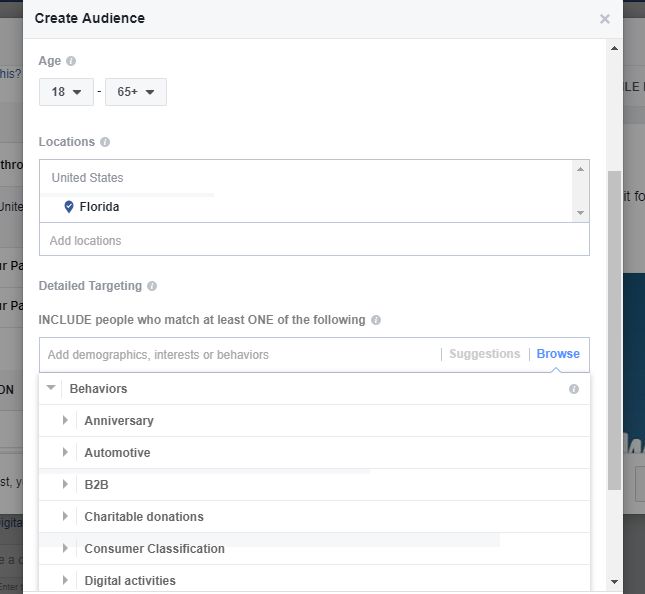 You can choose the type of audience you want targeted by narrowing them down by their behaviors, demographics, and interests. 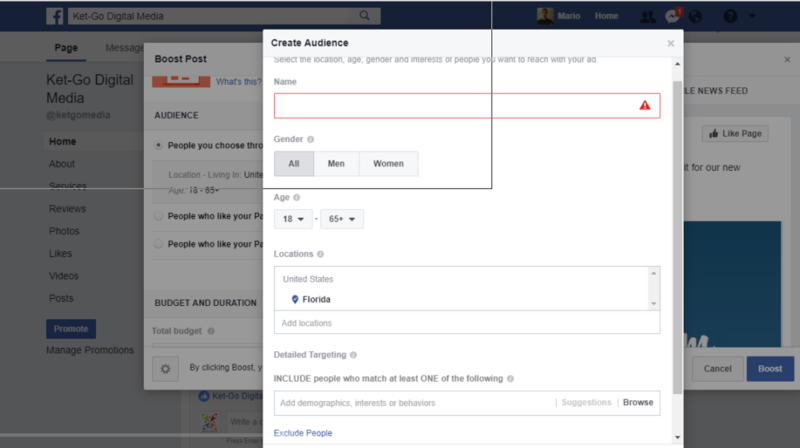 Look over your budget and see how much you can commit to boosting posts. Whatever you put down, you will overtime get your money’s worth. If you you need more help give us a call for a free consultation. Here at Ket-go Digital Media, we are committed to giving you the best social media consulting, we’ll even do it for you! For more tips on Social Media look at our latest article on Instagram.